We are a house of superheros! 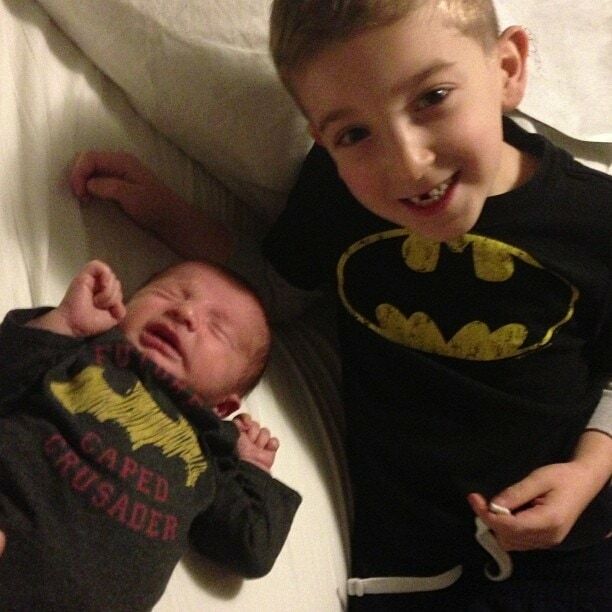 LOL – Liam got dressed this morning and opted for a Batman shirt. Little Caleb changed into his onesie last night. Bill couldn’t resist snapping this shot. Natalie has become such an amazing helper. She constantly begs me to let her feed Caleb or hold him or burp him. I have to watch her though because she has the tendency to whip him around a bit too quickly. Last night, he fed Caleb a bottle and she was in her glory! 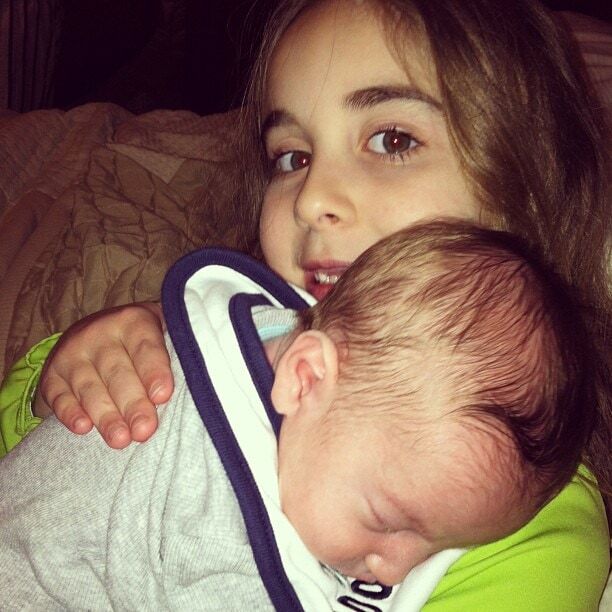 I was afraid in the beginning that there was too big of an age gap between my kids. Now, I can see that it’s just perfect.